"The only way I can describe your teachings is RICH. I am always blessed encouraged and instructed when we receive them. They are anointed." Nancy, Flager, CO. "Your teachings are precious gems to me. They pave the way through the battlefield of spiritual warfare. Keep them coming!" Don, Pittsford, NY "I use your teachings for personal devotions. They bless me." 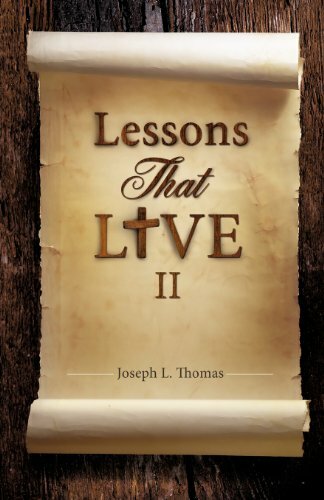 Toni, Edmond, OK Joseph L. Thomas, known as Pastor Joe, was born in Bartlett Texas on April 26, 1923. He was given chaplain training by the U.S. Navy at Mercer University and Princeton Seminary. Later he graduated from Southwestern Baptist Seminary in Ft. Worth, Texas with a Master's degree. He pastored Southern Baptist churches for thirty five years in California and served six years on the board of California Baptist Foundation as a pastor and for the past thirty five years he has mentored men and taught the Bible. He was one of the mentors to Michael Leehan who wrote his biography, "The Ascent from Darkness". Married to Margaret Brooks for fifty eight years, they were blessed with one son, two daughters, six grandchildren and four great grandchildren. He spends his days mentoring men, attending three men's groups, in intercessory prayer and visiting various churches.